Dance Biopharm Announces Joint Venture with Harmony Asset for the Development of Inhaled Insulin in Multiple Countries in Asia :: Dance Biopharm Holdings Inc.
SAN FRANCISCO, Oct. 15, 2013 /PRNewswire/ -- Dance Biopharm Inc., a privately-held biotechnology company focused on the development of inhaled insulin products to treat diabetes, today announced that it has entered into a joint venture with Harmony Asset for the development of inhaled insulin in China and other Asian countries (excluding Japan). Under the joint venture, Harmony will cover the majority of the development expenses in most of the specified regions and will receive ownership in those territories commensurate with the level of expenses paid. The joint venture will enable Dance Biopharm to significantly expedite its regulatory, manufacturing, and commercial partnering efforts in China. "We are excited to partner with Harmony on this joint venture and believe that Harmony's strong expertise in China and extensive connections among China regulatory, manufacturing, and pharmaceutical business leaders will be invaluable as we move toward product approval of Adagio inhaled insulin. With the help of Harmony, we have already begun a process to select a commercialization partner for mainland China," stated John Patton, Ph.D., chairman and chief executive officer of Dance Biopharm. "We are in active communication with regulatory authorities in Europe and the United Statesregarding our path to approval for Adagio, and this joint venture represents an important part of our strategy to pursue product approval with multiple regulatory authorities in parallel in order to get this product to millions of diabetic patients in need, worldwide." "We are very excited with this opportunity to partner with Dance. We believe this company holds the key to improving the well-being and lifestyle of millions of diabetic patients everywhere," stated Augustine Chow, Ph.D., chief executive officer of Harmony Asset Limited. "We are thrilled to be bringing these amazing products to Asia Pacific, and we are committed to taking Adagio through regulatory authorities and identifying strategic partners in each country as soon as practical." The joint venture entered into by Dance and Harmony will focus on the development and commercialization of inhaled insulin in multiple countries, of which the major ones are China, Korea, India, Indonesia and Australia. The joint venture, which is majority owned by Harmony, will be governed by a board of directors comprised of an even number of representatives from each company. The objective of the joint venture is to pursue development of the inhaled insulin products and to navigate the products through foreign regulatory processes and then into commercialization in the specified regions. Where desired, the joint venture will seek regional partners for commercialization. Dance Biopharm's Adagio is a novel second-generation inhaled insulin product in development that could resolve issues inherent in the first-generation inhaled insulin products, which were known to be safe and effective yet uneconomical and cumbersome. 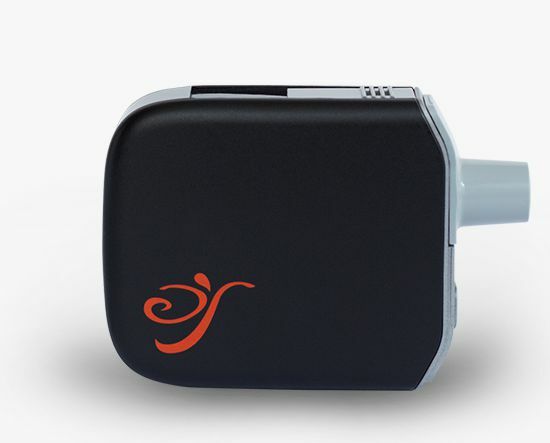 The liquid formulation of natural human insulin is dispensed through a small, silent, handheld electronic aerosol device, intended to deliver the patient's individualized dose of insulin in one to three breaths at mealtime. Dance has chosen to develop a liquid formulation of insulin instead of a dry powder with the goals of lowering manufacturing costs, eliminating cough, and facilitating ease-of-use. Adagio is currently in clinical trials and is in preparation for pivotal development. The first clinical trial was completed in Germany, and the company has conducted an extensive scientific advice process in Europe, which has resulted in an abbreviated development plan there. The company is actively engaged in discussions with the U.S. Food and Drug Administration (FDA) and is incorporating FDA input into clinical development plans for Adagio. There is a global epidemic of Type 2 diabetes. The estimated 347 million people with diabetes worldwide are expected to grow to 439 million by 2030. Notably, in China, a recent publication estimated 114 million adults with diabetes and 493 million adults with pre-diabetes in China, equal to morbidity of 12 percent and pre-diabetes prevalence of 50 percent. For the majority of people with diabetes worldwide, their disease is out of control and they will die prematurely. Metabolic diseases may account for up to one third of healthcare costs in many regions of the world. Numerous studies have shown that better glucose control can extend life expectancy, improve quality of life, and markedly reduce the huge costs of managing diabetes and its complications. The long-term benefits of mealtime insulin therapy to control blood glucose have been consistently demonstrated. It is important to note that exogenous insulin itself addresses both of the defects in Type 2 diabetes by improving endogenous insulin secretion (corrects insulin deficiency) and decreasing glucotoxicity and therefore decreasing insulin resistance. Many clinical studies have demonstrated that insulin not only preserves but can also restore beta cell function to the point of clinical remission in newly diagnosed Type 2 diabetics (Ryan et al, 2004; Li et al, 2004; Ilkova et al 1997, Alvarsson et al. 2003). Although injected insulin is the gold standard for treatment, traditionally it has been the last drug taken by Type 2 patients (who make up about 90-95 percent of diabetics). The typical patient delays taking mealtime insulin for five to 10 years in order to avoid multiple daily injections. Delaying insulin treatment, or refusing to take injections, eventually results in miserable health consequences for the patients and enormous costs to health care systems. Now all of the major diabetes medical associations recommend the introduction of insulin earlier in the treatment process for Type 2 patients, and if glycosylated hemoglobin (HbA1c) is above nine percent upon diagnosis and patients are symptomatic, insulin is recommended immediately. Harmony Asset Limited is a Hong Kong Stock Exchange listed company that creates value by investing in emerging private companies and unlocking the company's growth potential in the region. Harmony utilizes its extensive network in Asia to help its portfolio companies identify relevant strategic partners with the ability to accelerate the company's growth in the region. The group has approximately 20 years of experience making investments in a wide range of industries with a focus on advanced technologies. Most recently, the group has taken on a focus in healthcare. Dance Biopharm, a privately-held company based in San Francisco, is focused on the clinical development of inhaled insulin products to treat diabetes patients worldwide. The company began operations in 2010 led by Dr. John Patton, who has over 20 years of experience in the development of inhaled insulin. The Dance team consists of experts in all aspects of inhaled insulin development, and the company is dedicated to creating a new generation of products that make inhaled insulin more compelling than ever. Additional information about Dance Biopharm can be found at www.dancebiopharm.com. All statements other than statements of historical facts included in this press release are forward-looking statements that are subject to certain risks, trends and uncertainties that could cause actual results and achievements to differ materially from those expressed in such statements. We have based these forward-looking statements upon information available to management as of the date of this release and management's expectations and projections about certain future events. It is possible that the assumptions made by management for purposes of such statements may not materialize. Actual results may differ materially from those projected or implied in any forward-looking statements. Such statements may involve risks and uncertainties, including but not limited to those relating to our limited operating history, our recurring losses from operations, our ability to obtain additional capital on acceptable terms, our ability to successfully develop Adagio, the cost and uncertainty of obtaining regulatory approvals, our ability to protect our intellectual property, the loss of any executive officers or consultants, competition, and changes in the regulatory landscape.